Settle down, breathe easy and enjoy the bliss of a luxury spa. Hot tubs are more than just a place to relax and unwind – they can also boost physical and mental wellbeing to keep you calm, balanced and recharged. 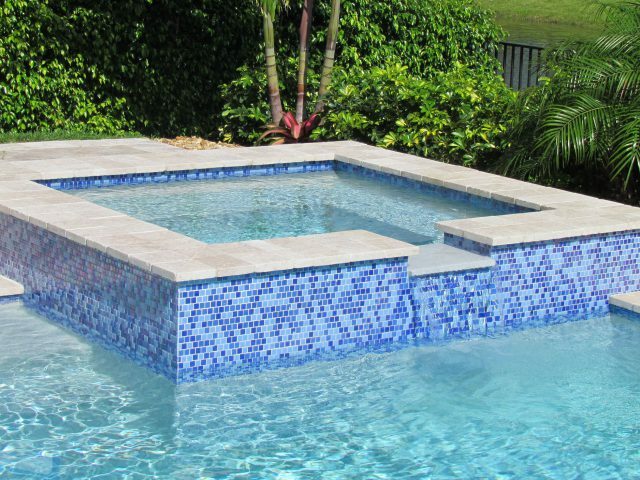 Thanks to our 50 years’ experience, Pool Builders Inc. will craft custom spas that add a touch of personality to your home. What’s more, our spas can either be created as a statement standalone piece, or to add another dimension of luxury to your final pool design. Whatever you’re searching for, our professionals can transform your on-paper concepts into living, breathing reality using innovative design and exceptional craftsmanship. Get in touch for your free, no-obligation quote – we serve a wide areas of Fort Lauderdale and South Florida Counties.